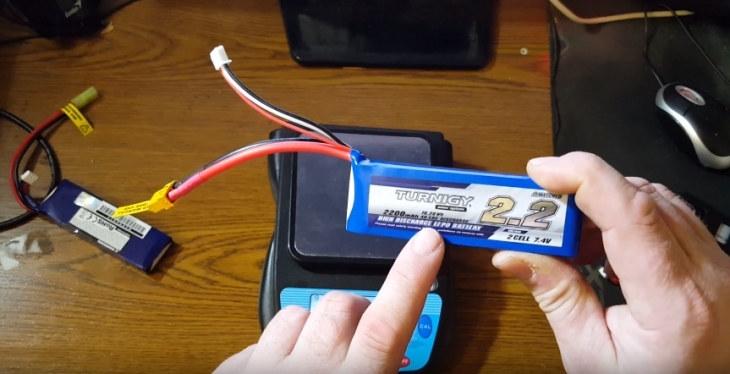 Best 2S LiPo Battery Reviews: Top-Rated 5 Products in April 2019! A lithium polymer battery uses solid or gelatin-like polymers as the electrolyte, where the Lithium-ion battery uses liquid lithium ion as the electrolyte. A single LiPo cell contains a nominal voltage of 3.7V, so when you see charges of 7.4V, it means that there are 2 LiPo cells set in a series. As such, 2S stands for 2 Series set cells. Lithium-ion batteries have a higher energy density than lithium polymer cells and also cost less. Against this, LiPo cells weigh less and are safer than Li-ion cells. The Li-ion energy density is higher than that of a LiPo cell, and the difference in price is rather steep, 33% in favor of the Li-ion. On the flip side, LiPo has a longer life. But…no more words, let one table show it all. Safety More volatile as compared to Lithium Polymer More safety. Less chance of explosion. There is a third battery type, the LiFePO4 batteries that offer a lower operating voltage of around 3.2V – 3.3V, the minimum discharge voltage is 2.8V, and the maximum is 3.6V. 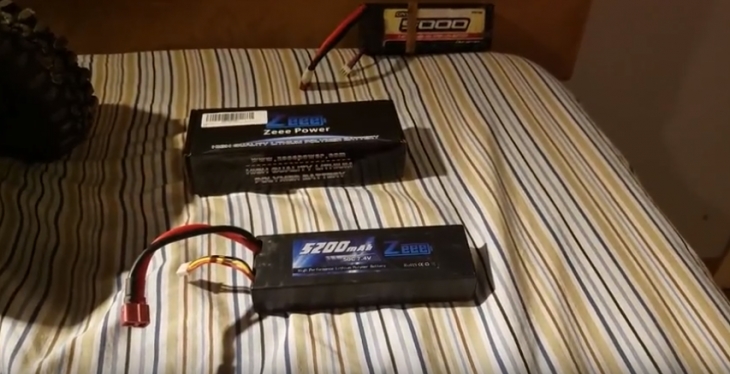 The LiFePO4 is a kind of Li-Ion rechargeable battery intended for high power applications including RC hobby.Their stand out feature is that they don’t heat up like LiPo. While they are the third group, I have included them in the LiPo section. While the Lithium polymer cell is more advanced than the Li-ion, it still has its pros and cons, so it’s all a matter of application rather than preference. In this review, I focus on RC application. 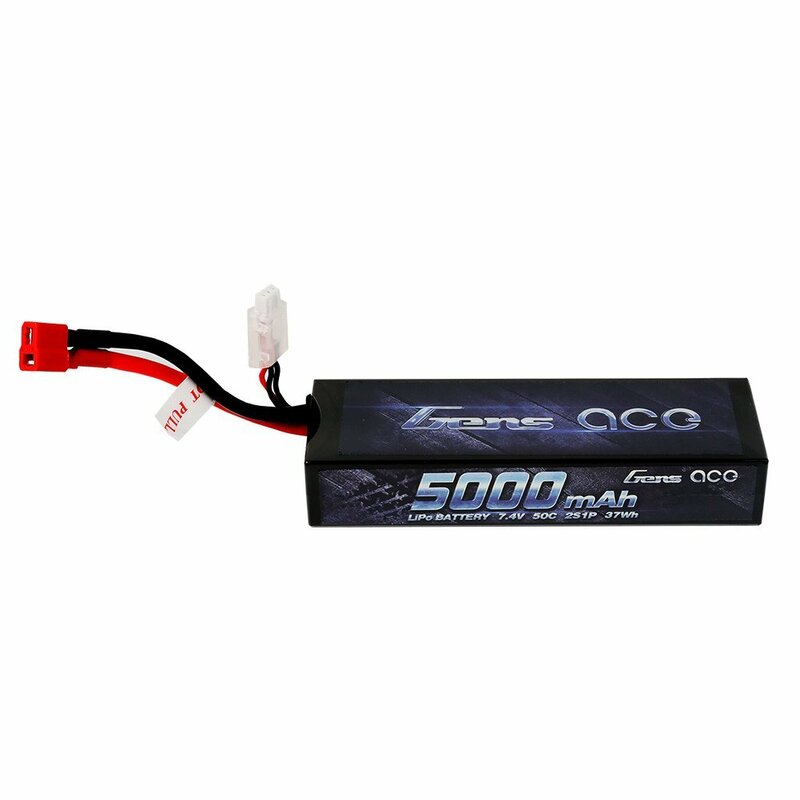 The Gens Ace 5000mAh 2S1P 7.4V 100C is a Hardcase Lipo battery for the RC racing scene. Basically, what we have here is the Gens ace 5000mAh 2S1P 7.4v 100C Battery that comes in a hard plastic case for extra safety when applied in RC racing scenes. As the name suggests, this is a 5000mAh capacity 2 cell LiPo unit that provides 7.4V at a 100C discharge rate and weighs 308g. This models dimension is 137mm X 47mm X 25mm and comes with 4.0mm JST-PHR Banana to Plug connector. Compact, solid and built to survive the conditions of off-road racing. A perfect choice in a 308g package. 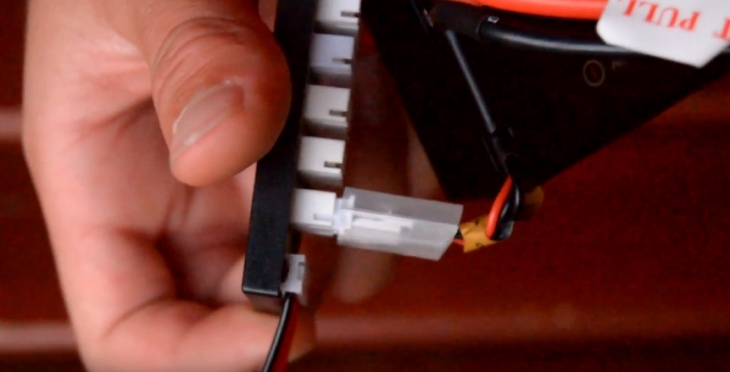 The Spektrum is a LiFe battery that delivers a slightly lower voltage, so you don’t need regulators for your servos, and they don’t start to overheat at 60o as the LiPo versions tend to do. This Spektrum battery pack delivers longer life performance and better handling performance than most other battery types. As such, it’s a perfect RC energy source solution provider. This 2200mAh 2S 6.6V Li-Fe Receiver Batter provides a maximum continuous discharge rate around 20C, making it a powerful LiPo contender. The pack comes with balancing leads and connectors and is equipped with an E-flite® EC3 connector on the main power leads. 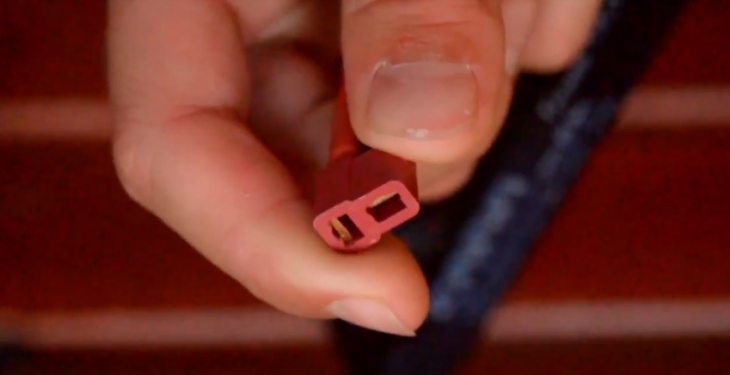 This is a Plug-N-Play® fro all E-flite ESCs and chargers. This is a lightweight, soft package 2S LiFePo cell that delivers higher standards of heat performance and maintains life longer for all your RC applications. 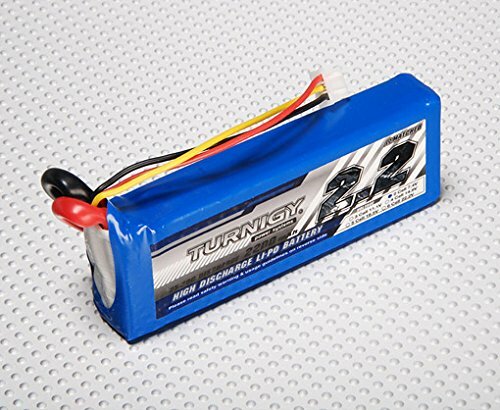 The Turnigy 2200mAh 2S 25C Lipo Pack is a soft body pack that delivers 35C bursts of energy. This is an RC air and ground cell pack for RC cars, planes, and other applications. The Turnigy batteries come with heavy duty discharge leads that are designed to minimize resistance and sustain high current loads. They come with gold plated JST-XH style balance connectors. This 2200mAh 2S1P / 7.4v / 2Cell pack has a continuous discharge of 25C with a peak discharge set to 50C for 10 seconds. The pack weighs 120g, and its dimensions are 104mm x 35mm x 16mm. A very convenient and comfortable pack for most RC applications, where weight and power match nicely. 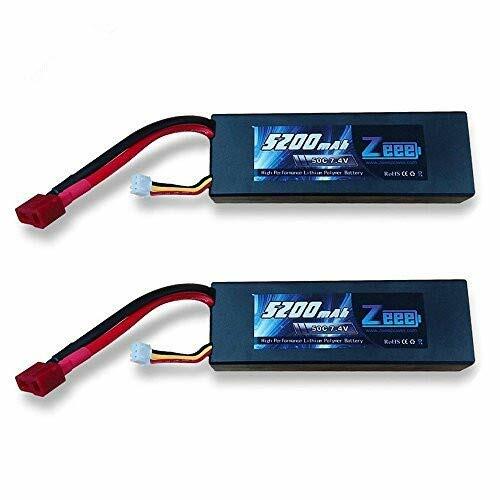 The Zeee LiPo Battery Hard Case 5200mAh 60C 2S 7.4V battery pack is designed for the more rugged RC applications and delivers a 50C charge rate. The Zeee LiPo Battery Hard Case comes with a 2S configuration that pumps out 7.4 V and a capacity of about 5200 mAh. The large charging rate combined with the huge capacity of the battery gives you a longer run time for a distance performance. This model comes with a Dean Style T Connector that is popular with most RC car models and fits most 1:10 scale models including the leading brands such as Traxxas, Bandit, Rustler, E-Maxx, Stampede, E-Revo, and Monster Jam. This model weighs 134g, and its dimensions are 105mm x 33mm x 17mm. Longer run times of up to 40 minutes. Comes with a 6 months warranty. Compatible with most RC car models. A great hard case for the more rugged race requirements. Also, a great backup pack to have around when you don’t want to wait for a recharge. The E-flite High-Power Lithium Polymer Batteries is an excellent soft cell pack that delivers exceptional power to weight ratios, and that’s why it’s a slightly more expensive model. 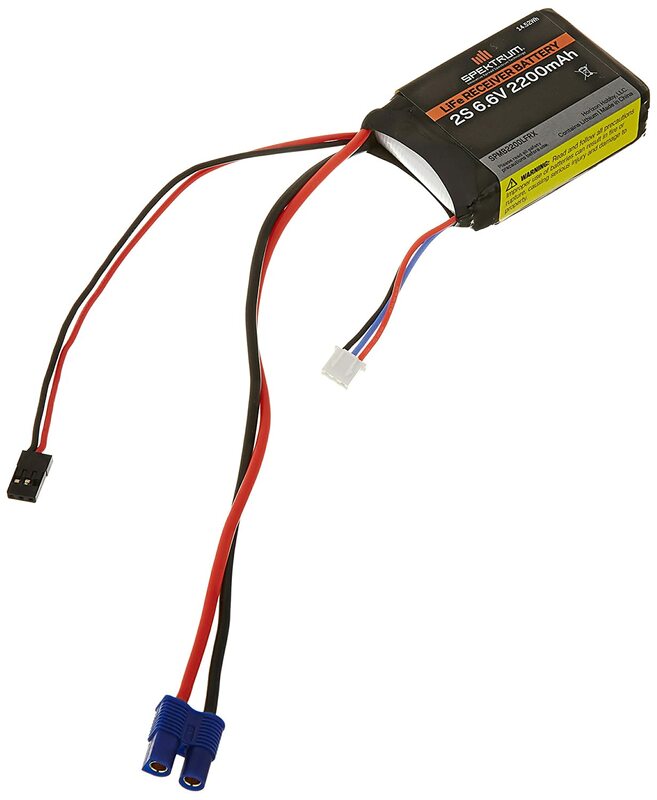 The E-Flite 1300mAh 2S 7.4V 20C LiPo 18AWG EC2 Battery comes pre-wired with an EC2 connector as well as a JST-XH balance connector. This model delivers a maximum continuous discharge rate up to 30C. The pack’s dimensions are 66mm x 35mm x 16mm, and it weighs 75g. This is one of the latest models and will only hit the market in November this year (2018), so when it comes out, I expect there to be a real pull for trials. You will have to wait to see how this one performs after its introduced to the market. Lithium based batteries are all the rage now, and there is fevered research into developing more efficient models being led by car companies such as Tesla and GM, as well as phone fabricators such as Huawei, Samsung, and iPhone. So just keep your hats on with all this speedy change, because every year brings newer, better, and more efficient and powerful lithium cells to the market.